For the majority of exceptionally fluent English speakers I meet, the most fun, enriching, and effective way to learn English is through watching TV series. In fact, it’s surprisingly common to hear that people learn significantly more English from TV, movies, and videos than all traditional methods combined (For example: English courses, textbooks, and even study abroad experiences). Why is it so hard for English schools to consistently deliver on their promises, and why is it that the most fluent English learners in the world are benefiting much more from English speaking TV series, a media that was not intended to teach English? One important reason is that, as good as some schools and resources are, most learners are bored. In the context of traditional English courses, learners feel terribly disconnected from the living, breathing reality of the language they are learning. To put it simply, they are bored. TV series and movies are so effective because it makes the learning process a fun, real, and permanent part of who we are. While this is so obvious to those who have learned this way (even if they can’t explain it), it does not occur to most people to use their favorite TV shows as a learning tool. Today I’m going to present a few of the principles of using TV shows to learn, and argue WHY it should form a core component of your learning. Motivation is a fundamental component to learning anything, but because language learning requires a lot more engagement in the culture and real life use, it’s particularly important here. Without strong motivation, it’s nearly impossible to generate the will power to consistently do the activities that lead to success in your learning. 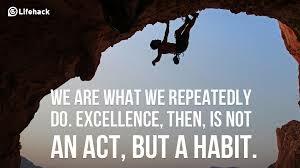 Without motivation, even IF you are able to force yourself to repeatedly do them, faking it won’t lead to success. Unlike the often boring traditional methods used in most classrooms, learning with TV series is like steroids for your motivation. We’ve all experienced how it feels to be captivated by a TV series or movie. We’re dying to know what happens next! We’re hooked, on the edge of our seats, and we can’t wait to watch the next scene or episode. Our mind and senses open up. Our emotions are charged. Even when it’s hard to understand, we FIND a way. Even when we don’t have time to watch, we FIND the time. This is the type of motivation that a TV series can provide. It’s powerful, it’s intrinsic, and if you know how to use it right, it will be your best friend on your English learning journey. When you find a TV show that you like and start watching it in English, you will notice a fundamental shift, not only in your experience watching, but also in your motivation to learn English. You will get addicted, you will identify with the characters, and the byproduct of a regular diet of this will be that your English learning will be drastically accelerated. Because TV shows are tons of fun to watch, and that there are so many of them, another huge advantage this brings to your English is that it’s really easy to build a powerful daily habit. Thanks to Hollywood, there is a plethora of options to choose from. Once you find one you like, it’s hard not to get in the routine of watching it every day in your free time. The popular American TV series Friends, for example, in over 10 seasons, generated 236 episodes that are around 25 minutes each. To put that into perspective, that’s 86 hours of authentic, real life learning experience. In other words, you could watch a different episode of Friends five days per week for almost a full year. Plus it’s a great show that’s really easy to enjoy. This is exactly why English learners report, more than any other show, that Friends is their favorite series to learn with. So we’ve established that TV shows are inherently addictive, and good for your English, but what happens when you expose yourself to a fun and consistent daily dose of English speaking TV series? As you probably guessed (or maybe even experienced yourself), your English gets better, and it happens relatively quickly. Depending on what level you’re at, you’re learning style, and how much contact you already have with English, you’re likely to notice some big improvements in the weeks and months that follow. While some of the improvements obvious, tangible, and easily testable (such as listening comprehension, vocabulary, and grammar), other aspects can’t be measured so easily on a standardized test. Cultural fluency is one of those aspects. As a native speaker from the United States, one of the things that amazes me the most when I meet learners who have watched hundreds of hours of American TV shows, like Friends, is how culturally fluent they are. So first of all, what is cultural fluency? Cultural Fluency is the correct use and exchange of the subtle cultural interpersonal currents of native communication, including both spoken and non-verbal forms. Cultural fluency is in the way we connect and flow our words and sentences (such as discourse markers, connected speech, and other pronunciation tendencies). It’s in our use of certain idioms and collocations, when to follow or break grammar and pronunciation rules, and even in our body language and subtle mannerisms. Even more, it’s understanding how people interact with each other, vocabulary and slang that’s common and appropriate in certain circles, and even how people carry themselves and dress. All of this you can learn from a regular diet of a TV series, as this is an important reflection of pop culture. This is an important mark of an extremely advanced English speaker, but it’s actually very rare. In all my years of teaching, this crucial but intangible cultural aspect of fluency has always been one of the hardest, subtlest, and most elusive aspects of the language to teach and learn. Ironically enough, I’ve discovered that the most powerful way to develop high levels of cultural fluency is to cultivate a daily diet of authentic cultural experiences with the spoken language. 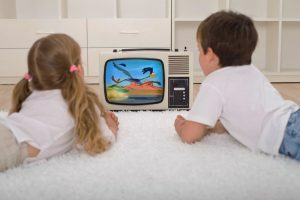 Making a daily habit out of watching TV shows can be one of the most impactful and enriching things you can do to develop true lifelong fluency, but they aren’t the only options to learn with visual media/ video. Learning with movies can be awesome too. On the one hand, they are longer and often more enriching, but the disadvantage, however, is that it’s nearly impossible build a habit of watching a movie every day because they’re too long for anyone with a busy schedule people, they don’t follow the same story line over an extended period. Another option are TED Talks. For those who don’t have very much time or are lookng for something more substantial, TED Talks are extremely convenient and power-packed video presentations with life-changing information. They also have subtitles options in nearly every language, so it’s very nice to spread these ideas to your friends and family. YouTube videos are another very entertaining solution, as humor or curiosity is a very affective way to learn. I recommend you check out this article highlighting some of the funniest youtube videos related to English learning. Also, we if you enjoyed this article and want to make learning with TV Shows EASY, you should learn more about our course, Fluent with Friends. Learn More! I want to speak English and learn English. I want to talk with you, that means you’re my teacher. Want to fluency english speaking with you. Wishing you. Loved the article Justin! I learned my English from watching TV shows and I know exactly what you mean, I've started watching one TV show and now I watch more than I can count, and my English improved a lot since I started making this a daily habit. Hey Camila, Great to hear from you and I’m so glad you enjoyed the article. That’s really cool that you’ve been learning with TV shows. What’s the best TV show you’ve watched so far, and is there any specific way you use them to make your learning successful? Hey Roderic, Thanks for reading and leaving a comment. That’s interesting about the pronunciation part. I think TV Shows can help you A LOT. The last little bit, try something like this– http://iteslj.org/Techniques/Hilton-AccentReduction.html Thanks again! I love watching series in English. My English doesn't get rusty this way. Great post! Tv shows is a great resource to learn english, especially listening and vocabulary but I really think that the best resource still is: speaking with natives. When you make a mistake you start getting better, like magic, you won’t forget your mistakes. I’m brazilian and I’ve been living in Winnipeg (Canada), I love english and I always studied the language but unfortunately I’ve never reached the fluency. My english is getting better here because I have the opportunity to talk with native and definetely speaking is the successful key. Oh what a wonderful site, I love this site, I can develop my english here. Thanks for your sharing and helping me to good speaker in English. you are truly Right. watching TV shows is only the single best way to speak better english. i like to watch english TV shows but when the characters talk to each other they speak fast, it is hard to understand. what is your opinion about it?